When social marketing enters in a business, it gets easier for you to increase monthly viewers in matter of seconds without spending a hefty amount over marketing. There are many social media platforms, Pinterest being one, that allow you to do so. However the main thing where a person gets stuck is increasing the number of people viewing you. Why I have decided to write about how to grow Pinterest monthly views rather than followers is because many paid and free tools increase fake followers on Pinterest. However, the followers are not more than just number and they never like, view, or share your product. Mostly business people think that SEO is just to increase traffic over a website and when it comes to using social media. They never put attention towards keywords. Well, you need to use proper and most searched keywords in your Pinterest account and post only regarding the thick density enriched low competition keywords. In this way, whenever somebody would search a keyword matching to your post, your post will appear on the top and voila, you get the views. No matter how many paid or free tools you use to increase views over your Pinterest account the manual efforts and hard work has no match. You need to spend real time with your account on Pinterest in order to get real views from real humans. These tools are no doubt working but still these cannot put the real and actual efforts an account requires to show real performance. Taking a little time everyday to follow people and pinboards that are in line with your chosen niche will reward you with followers who have an interest in your pins. 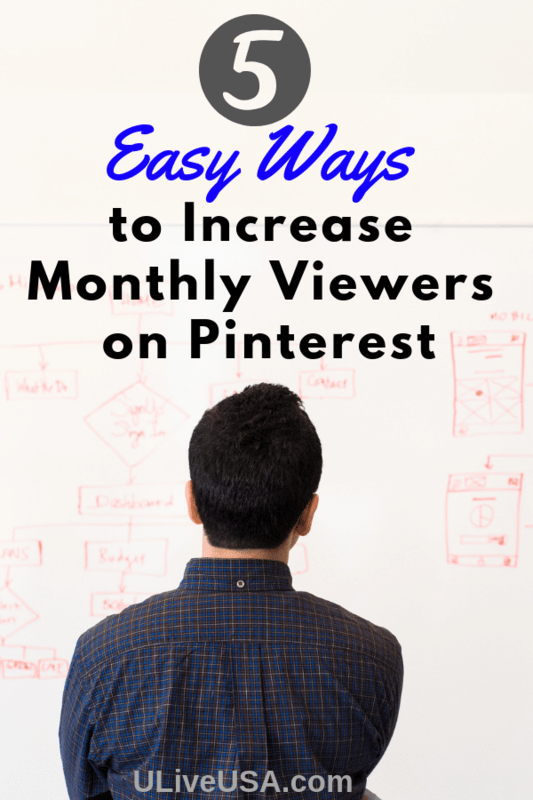 Engaged followers help increase monthly viewers as they interact and repin your pins. You can see and interact with the humans and people following you, pining to your boards, or showing interest in your products. By doing so, you can understand the real performance and by interacting with you personally they will show real interest in your product even when you will post them on later basis. In this way, you can have real people on your account. You need to make pin images epic and appealing. You know that, your real strength at Pinterest in the quality of your image, idea of the image, and how amazingly it will provide an idea to people about your product. Hence, it is best that you post epic and appealing images on your account. Images that people want to see in order to get their real interest. Pinterest is best way to reach people however it has some limitations thus you need to go to other social media platforms to get people and reach them in real way. Facebook and whatsapp groups can help you in this regard. Get people from whatsapp and facebook by posting your links in the groups and get people to see your pins.